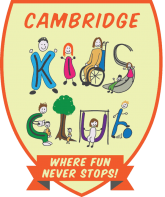 We are sorry to hear that you have had a poor experience of service from Cambridge Kids Club. Our aim is to make the children and parents as happy as possible but if at any time they wish to make a complaint we would rather you did so instead of “bottling it up”. Only by knowing you (your child) are dissatisfied can we start to understand we have been going wrong somewhere and try and correct our failings, or provide you with additional information to put your mind at rest. Criticism is always welcome especially if it is constructive. In the first instance, parents should discuss their concern with the Playleader / Manager who should always be willing to listen with an open mind. If the parent believes that they have not been listened to properly or have not had a satisfactory response then they should ask to talk to the Co-ordinator. You may wish at this stage to put the complaint in writing. The Co-ordinator will then investigate the complaint and report back to you in writing. The response should be given within 7 days and if you are still dissatisfied then you should ask to speak with the Director. Again you may wish to put things in writing. All communication regarding the complaint should be in writing from both parties to ensure understanding of actions. The Director will investigate and respond in writing within 28 days. We believe in openness and it is not our style to “defend the indefensible” but if having complained to the Director and not gained satisfaction you then have exhausted our complaints procedure. It is still open to you to complain to OFSTED who are responsible for registration and inspection of nurseries and after-school/ school holiday clubs. However OFSTED will only intervene where the issue is one of quality of care and not related to such matters as fees or contractual terms and conditions.